When a bomber killed 127 people at a Pakistan church, the country’s Supreme Court issued a list of instructions to the government to protect religious minorities. Four years later, the government has yet to follow most of them. 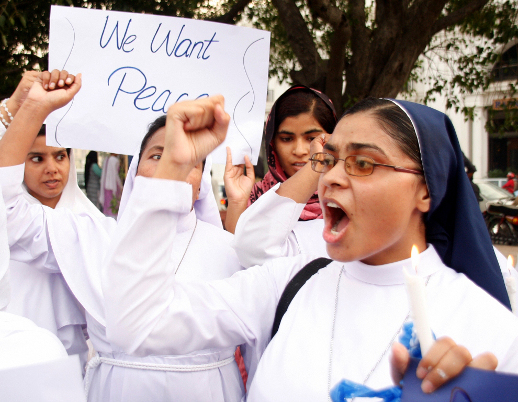 As with the religious freedom guaranteed in Pakistan’s constitution, the government’s lacklustre response to the court’s instructions reveals the gap between the ideals contained in official documents and the disillusioning reality for Christians and other minorities in the overwhelmingly Muslim country. Those factors loomed large at a 9-10 May gathering of religious minorities, scholars, intellectuals, parliamentarians and government officials, including Bari, who gathered in Islamabad. It was organised by the National Commission for Human Rights, an autonomous public body, in collaboration with Community World Service Asia, a national civil society organisation mainly working in livelihood, health and education. The meeting was titled, ‘National Convention on the June 19th Judgment’, referring to a landmark order handed down that day in 2014 by then-Chief Justice Tasadduq Hussain Jillani, following the September 2013 bombing in All Saints’ Memorial Church in Peshawar, which killed at least 127 people and injured 250. No work has been done on any aspect of the judgment except school curricula, said Ramesh Kumar Vankwani, a member of the Pakistan National Assembly who holds a seat reserved for minorities. In December 2015 the higher-education department of Punjab province told the Supreme Court that a new committee had issued seven recommendations on curriculum reforms. The justices were told that “myopic interpretation” of religion would be removed and students would be encouraged to learn Islam’s “spirit of pluralism”, according to Pakistan’s Express Tribune news service. “This is the only area where Sindh [province] and Punjab governments have made progress, but still it will take time to take its final shape,” Vankwani told World Watch Monitor. An example: the Balochistan province Public Service Commission chairman, Justice Kailash Naath Kohli, recommended religious minorities should be taught ethics instead of Islamic studies. Chaudhry Shafique, a member of the National Commission for Human Rights, said there’s still a need to capture all the aspects of the June 19th Judgment and the progress made since it was issued. The convention, however, was not a simple exercise in measuring government response to the Supreme Court justice’s instructions. Issues beyond the ruling itself were debated. There were those at the conference who said a fundamental concern is the government’s indifference to structures already in place to defend religious freedom. The Ministry for Religious Affairs and Religious Harmony, for example, is mainly responsible for Muslim pilgrimage travel to Saudi Arabia. The ministry oversees the National Commission for Minorities, created in 1990, but the National Assembly was recently told the commission has no rules of business in place, and even its legal status is “not clear”. And while Pakistan’s constitution guarantees each citizen “the right to profess, practise and propagate his religion”, and every denomination “shall have the right to establish, maintain and manage its religious institution”, the reality is different, said the chairman of the National Commission for Human Rights, Justice Ali Nawaz Chowhan. School curriculum in some provinces promotes an Islamic way of life to all, including to non-Muslims, in defiance of the constitution, he said. The government already has watchdogs in place to police such matters, but Chowhan said they are starved for resources. Even as Pakistan’s constitution promises religious liberty, its penal code forbids blasphemy against Islam. Most defendants in blasphemy cases are religious minorities, including Christians, who make up only 4 per cent of Pakistan’s population. “Religious minorities cannot be provided justice until the society and state throw out malice and consider them equal citizens of Pakistan,” Vankwani said. As sympathetic to religious minorities as they may be, the 2014 instructions from the Supreme Court justice also treat minorities as an object needing protection from the rest of society, said human rights lawyer Atif Jamil. “Minorities should be seen as equal citizens of the country and not a people who are alien or temporarily residing as refugees,” he said. The convention also surfaced the long-running debate in Pakistan over job and education quotas for minorities. “Our collective efforts have resulted in the approval of 5 per cent job quota for minorities. 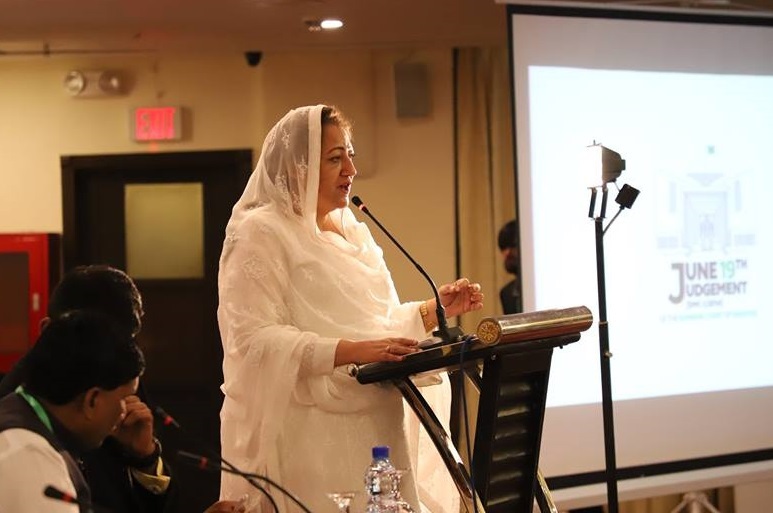 Now we need to put our efforts for the education quota,” said National Assembly member Aasiya Nasir. Her bill to establish minority quotas in higher education was rejected by the Assembly on the grounds that it undermines the spirit of merit. Dr. Mukhtar Ahmed, former chairman of Pakistan’s Higher Education Commission, argued against Nasir’s “Minorities Access to Higher Education Bill” in the National Assembly, and again spoke against minority quotas at the 9-10 May convention. He said his opposition arose not from personal conviction, but from the advice of universities. Yet quotas had their defenders. The Public Service Commission Chairman of Khyber Pakhtunkhwa province, Fareedullah Khan, told the convention he would assure that minorities were given their due representation in government jobs. “This is my highest moral commitment and you all are invited to guide me on how to go about it,” he said. At the end of the convention, Chowhan announced that a committee comprising intellectuals and activists would prepare a white paper to be submitted to the Parliament, Senate and other human-rights bodies.